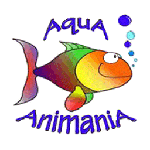 AquA AnimaniA is your #1 local source in Windsor, Essex County and Beyond, for aquarium heaters for freshwater, tropical, saltwater and reef aquariums of all shapes and sizes! We provide friendly, expert advise and tips plus carry a full line of aquarium kits, aquarium filters, aquarium pumps, aquarium supplies, aquarium tanks and an endless selection of aquarium accessories and much more! Be sure to inquire, or visit our store in person, to see the complete aquarium heater selection we have available, in-stock. We can also special order unique items and other products from our vast network of national and international partners and suppliers. Tropical fish usually need a temperature near 75 F (24 C). Since a normal room temperature is slightly less than this, an aquarium heater is usually necessary, especially when winter starts influencing the inside temperature. Manufactures suggest 3 – 5 watts per gallon. For larger tanks, two heaters are preferable as this dissipates heat more evenly and also helps provide insurance in case one heater fails. The price does not increase substantially on larger wattage heaters. For example, it may only a few dollars more to get a 250 watt heater instead of a 150 watt from the same manufacturer. So, don’t skimp on the wattage. Aquarium heaters provide a heating element inside a glass casing. This insulates the electric operation from the water. Less expensive units cannot be fully submerged and must remain upright. If the heating coils aren’t fully submersed, the unit will overheat and crack. Never operate an aquarium heater when it isn’t in the water. If fully submersed these heaters will leak and short circuit. An example of these heaters is the Radiant by Hagen. This heater can be frustrating as the dial can easily be bumped, which causes wide swings in the aquarium temperature. Submersible heaters are useful in breeding tanks where the water level has been lowered and an upright heater cannot operate. The Visi-Therm Deluxe by Marineland, with its easy to read temperature dial, is a favorite. Hagen and Ebo Jager make a fully submersible heater. Ebo Jager has the best reputation for aquarium heaters. They use thicker glass, which reduces breakage. Their heaters have a precision of half a degree Fahrenheit and are adjustable from 64 – 94 degrees. Ebo Jager heaters are durable, accurate and inexpensive. Ebo Jager recently changed to the name Jager and Eheim has taken over responsibility for this product. Don’t forget to have a thermometer and check it occasionally too!